This is a haunting image of a pond reflecting sky. 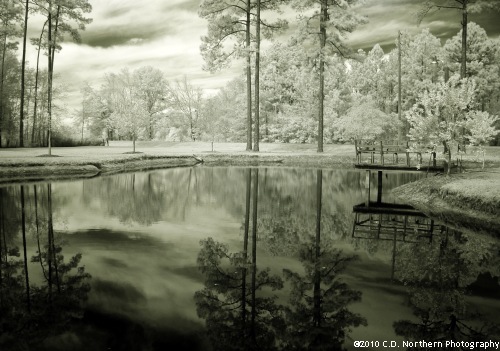 Taken in Deep Southern Georgia in Infrared, this image is predominantly green tinted. This gives this image a twist on Black and White photography.